While the Indian cricket team is looking to take back the lead by winning the Boxing Day Test against Australia, the Board of Cricket Control in India (BCCI) has announced the Indian squads for the ODI fixtures against Australia, and New Zealand and also for the T20Is against New Zealand. Three players who were not part of the T20I squad against Australia have made it to the list. 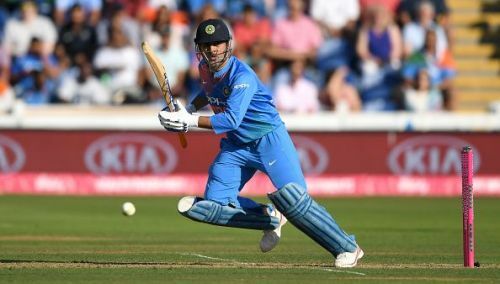 MS Dhoni was the notable player to make the comeback as the other two players - Kedar Jadhav and Hardik Pandya - are returning from injuries suffered during the Asia Cup. Another wicket-keeper Dinesh Karthik who was dropped for the ODIs against West Indies made it back to Indian ODI squad in place of Rishabh Pant. When BCCI announced the Indian T20I squads to play against West Indies and Australia in October, there was one noticeable absentee - MS Dhoni. There was a lot of uproar about MSD being dropped from the squad. There were mixed reactions to the decision made by the selection committee. Some people agreed with the decision as they believe Dhoni will retire after the 2019 World Cup and India should give time to Rishabh Pant in T20Is before the T20 World Cup in 2020. On the other hand, there were people who thought that since MS only plays white ball cricket who should get as much game time as possible. To pacify the uproar after the MSD's drop, chief selector MSK Prasad then said "The T20Is here and in Australia, he is not going to play, because we are also looking at a second wicketkeeper. That will be between Rishabh and Dinesh Karthik. So they will be getting a chance to keep and bat." After losing the Perth Test to Australia, the series is level at 1-1 so the Indian team will look to bounce back to regain the momentum. India needs its batsmen to step up their game to ensure that the efforts of the bowling unit do not go in vein. The MCG pitch might not be as treacherous as the one at Perth but will be a mouth-watering contest as an upbeat Australia take on the World No.1 Test side. The Indian tour of Australia is scheduled to end of 18th January with the ODI series and then India will fly to New Zealand for a limited overs tour. The 5 ODI matches followed by 3 T20Is against the Kiwis will be India's last international fixtures before the ICC World Cup of 2019. The Indian Premier League will keep most of the Indian contingent engaged during March and April. Here's how Twitter reacted to the squads announced by BCCI. What does @msdhoni’s return to the T20 side say? That he wants to play till the T20WC in 2020? Or that selectors/team management not entirely convinced of Rishabh Pant’s ‘keeping skills? Looking forward for 🚁 in Australia and New Zealand !! Looks like Dhoni selects himself. Selectors had said Dhoni was dropped from T20. On what basis has he been picked now for T20 ? Rishabh Pant has apparently been given "a lot of chances". He played two ODI innings against West Indies ladies and gentlemen. Two ODI innings. That's a lot of chances. Rishabh Pant dropped from ODIs...finally a good decision!! India vs New Zealand 2nd T20I: Who said what?